APCC Day 3 was more eventful because we spent the entire day going around and watching the main stage events. When we found out we won’t see the cast of “Stranger Things”, we decided to make up for it by attending Hall M and seeing Ray Fisher on Sunday. So, Marc and I woke up early and arrived at the venue at 9:30 in the morning to get our Hall M passes. Getting the Hall M passes were a little stressful at first because we didn’t know where to fall in line. I also became a bit irritated when the APCC crew had no idea where to place us. After awhile though, Marc saw a line and we were able to get the passes. Then, we waited again in line for the event itself. Just like last year, Hall M required us to sign a non-disclosure agreement (NDA) and surrender all recording devices. So, I won’t tell all the details about Hall M, but I’ll tell you some of the gists. For those who don’t know, Hall M is an exclusive event where C.B. Cebulski from Marvel shows exclusive content from their games, merchandise, TV shows, and movies. The event is limited to 1000 attendees only. Last year, their main attraction was “Doctor Strange”. This year, it’s “Thor: Ragnarok”. But before the movies, Cebulski showed us new games such as the “Lego Marvel” and “Spider-Man”. For merchandise, Marvel will be coming out with apparel from different franchises. As for the TV shows, Cebulski showed us exclusive content from Netflix’s “The Punisher”. And finally, they showed clips and content from “Black Panther”, “Thor: Ragnarok”, and “Ant-Man and the Wasp”. After watching all those Marvel content, I can truly say that waiting in line for Hall M was definitely worth it! Overall, we came out of the main stage super happy and feeling special hehe. As Marvel fans, Marc and I felt satisfied with what we saw and we cannot wait to watch them! For sure, Hall M is now part of our APCC checklist every year. Of course, we wouldn’t miss seeing international guests and cosplayers. We took photos of talented cosplayers such as Pion Kim, Canvas Cosplay, Haiden Hazard, and Jin Joson. I have only seen these international cosplayers in magazines, websites, and books. But thanks to APCC, we were able to see them in person. And the best part is they were very approachable! APCC wouldn’t be complete without shopping for merchandise from our favorite pop culture fandoms. We bought prints and had some of them signed, like the one from Artgerm. Apart from that, we bought shirts, some knick knacks, figures, stickers, and charms. Some of the merchants that saw were: Toto Madayag, Big Boys Toy Store, Filbars, Hobbiestock, Kramer Toys, and various artists from the Creative Circle section. While we were not able to see Tyler Hoechlin and the “Stranger Things” cast, we made sure to see Ray Fisher on stage. For those who don’t know, Ray Fisher portrays Cyborg in the upcoming “Justice League” movie, which will come out in theaters worldwide this coming November. Marc and I are fans of the DC universe and seeing a live-action Justice League movie is a dream come true. So, when we found out that Ray Fisher is coming here, we promised ourselves that we wouldn’t miss his stage appearance. We had average expectations for Ray Fisher’s stage appearance. Somehow, we expected it to be a normal stage appearance where the host interviews him and talks about his career and the “Justice League” movie. In addition, Gaku Space was interviewed before Ray and it was the usual interview and Q&A. So, imagine our surprise when Ray came to stage and saw that he was one big ball of energy. He was so full of energy that we couldn’t help but smile and cheer for him throughout the stage appearance. Ray also insisted that he be interviewed standing up and near the audience so he could “get intimate with everyone”. He was very happy answering the questions from both KC Montero and the audience---and he even hugged a girl during the Q&A portion. Ray talked about his career, the “Justice League” movie, African-American actors in Hollywood, his personal life, how he got the Cyborg role, his reaction to getting a Cyborg solo movie, his time in the Philippines, and many more! He was so talkative and it got the audience to ask more questions. In fact, when the whole stage appearance was about to end, Ray requested that he extend a little so he can answer more questions---and his request was granted! If I remember correctly, he extended for 15-20 minutes. All in all, the whole Ray Fisher stage panel was one heck of a mini-event. It was super special, fun, and lively! We’re glad that we attended. It would be a great feeling to watch “Justice League” knowing that we have seen Ray Fisher in person. 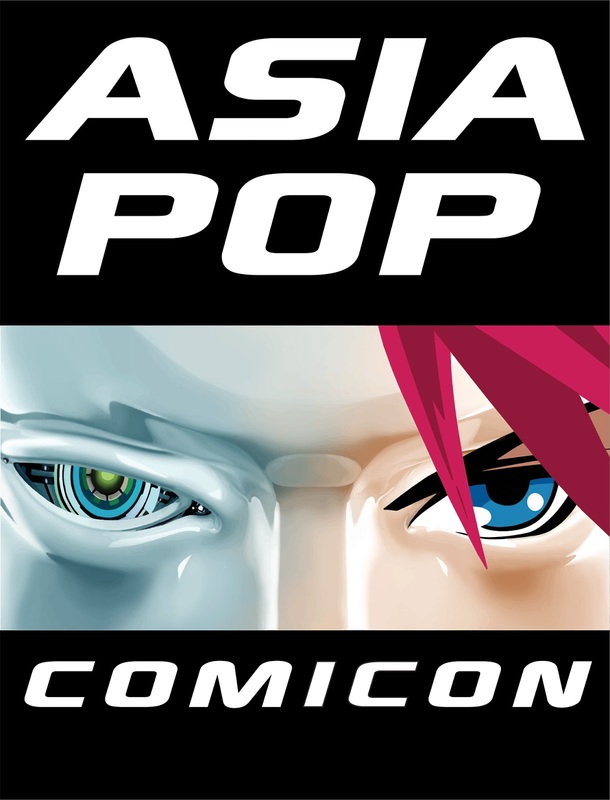 I have to be honest about AsiaPOP Comicon. I sort of expected the event to have more celebrity headliners. I thought more guests were coming after they announced the cast of “Stranger Things”, so I was a bit disappointed that they were the last. Despite that, I still think APCC was successful in making pop culture fans happy. We have been to so many pop culture and cosplay conventions the past years. Yet, when APCC was introduced in 2015, we realized this was the event that we were looking for. It was an opportunity for us to see international guests and celebrities while enjoying our favorite fandoms. So, APCC will always make Marc and I happy every year. Also, APCC is just in their third year. At this rate, they are still learning. Yet, they already have some knowledge on what a great pop culture event should be. Despite the minor disappointment this year, we will still look forward to APCC in the coming years. And besides, I can really say we enjoyed the event. We missed going to conventions, so APCC was a great way to relieve stress and enjoy our hobbies. Here, we met friends, saw our favorite international guests, bought some merchandise, and attended exciting mini-events. We can’t wait for what APCC has in store for everyone next year. Did you have fun in this year’s AsiaPOP Comicon? Let me know how your experience was in the comments below. You can also reach me via Facebook, Twitter, and Instagram.